There are no photos with those IDs or post 24606 does not have any attached images! 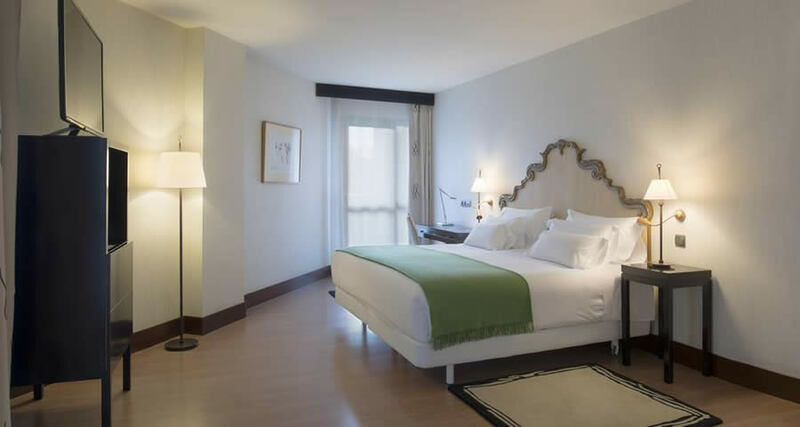 The hotel 5 stars NH Collection Palacio de Avilés, formerly known as NH Palacio de Ferrara, is a emblematic building of the historic center of Avilés. It is located in an ideal environment to explore the city, very close to its main tourist attractions. The building is a magnificent 17th century mansion converted into a luxurious hotel. We are in the popular Plaza of Spain, near the town hall and the Ferrera Park. 78 rooms, spacious and comfortable, classic style, in keeping with the character of the building. There are different room categories, from standard to suites. Among our extra services we offer luxury mattresses, large selection of pillows and free Wi-Fi. Our restaurant, The Chapel, serves traditional cuisine with a contemporary touch. The hotel also offers gym and multifunctional rooms.